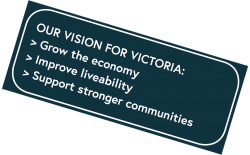 Victoria’s 79 councils and their peak body, the Municipal Association of Victoria (MAV), have identified 42 priority commitments sought from all political parties contesting the state election in November to help build the economy and improve Victoria’s liveability. 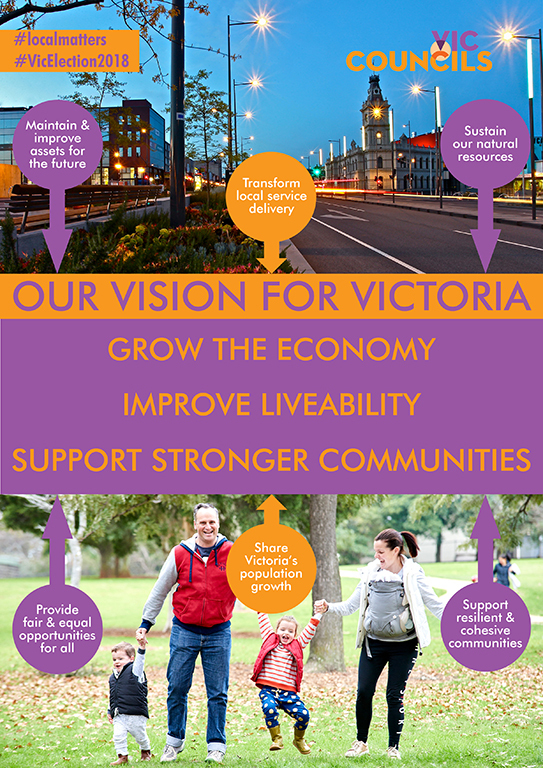 The local government Call to Parties plan outlines a clear vision for Victoria. It is based on the principle that all Victorian communities should have equitable access to local community services and infrastructure regardless of where they live. Ask political parties and your local MP to support local priorities this state election (sample posts are provided below). Councillors discussing matters on the Call to Parties document that is relevant to their communities are available for viewing on our Local matters video page.